Journeys Canada is offering you an awesome sale this weekend! Over 100 sale styles are under $40 and many sale items are up to 70% off! It includes casual shoes, flats, sneakers, clothing, accessories, and more. This offer is valid for a limited time only, while quantities last. This Men’s Crevo Rasta Slip on Casual Shoe is on sale for only $19.99. You’re saving $45.00 from the original price of $64.99! 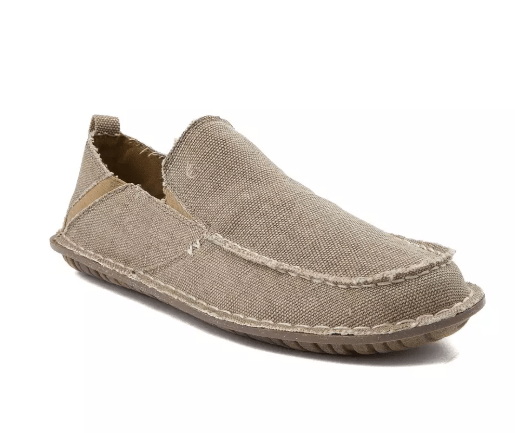 Winter’s almost over and it’s time to relax with the new Rasta Slip on Casual Shoe from Crevo. Featuring sturdy canvas uppers with soft canvas lining, memory foam cushioned footbed for maximum comfort, and a lightweight rubber outsole for flexible, non-slip traction. Journeys Canada offers a flat shipping fee of $5.95 ($9.95 for Newfoundland) on all orders.